The term BLACK FRIDAY appears to have been coined in Philadelphia by the police, where it was originally used to describe the heavy and disruptive pedestrian and vehicle traffic which would occur on the day after Thanksgiving. Use of the term began around 1966 and was used primarily on the east coast It began to see broader use around 1975. 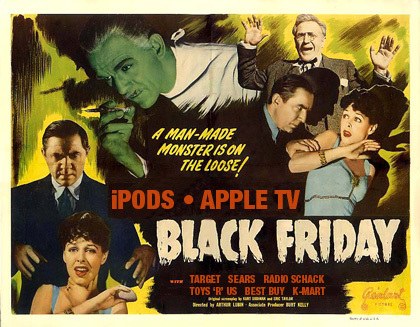 Later an alternative explanation began to be offered: that “Black Friday” indicates the period during which retailers are turning a profit, or “in the black. I know many of you probably love to participate in Black Friday. I for one, can’t stand it. I like to enjoy my Thanksgiving weekend in its entirety! That means sleeping in on Friday, Saturday and Sunday at least until 7. I refuse to get up and go shopping at 3 AM for anyone or anything! More importantly, at least to me, is that I don’t want to rush through an important family holiday just so I can get up at 3 AM (if I got to bed at all) and go stand in line all day to spend money. Thanksgiving in the United States was observed on various dates throughout history, but by the mid 20th century, the final Thursday in November had become the customary day of Thanksgiving in most U.S. states. It was not until December 26, 1941, however, that President Franklin D. Roosevelt, after pushing two years earlier to move the date earlier to give the country an economic boost, signed a bill into law with Congress, making Thanksgiving a national holiday and settling it to the fourth (but not final) Thursday in November. Traditionally, for me anyway, “Black Friday” has been spent sleeping in, eating turkey sandwiches, putting up the Christmas tree, wrapping gifts (because I am done shopping by Thanksgiving since most of my items need to be shipped), watching old movies, baking and any other thing that comes to mind. So if you participate in black Friday, I hope it will be safe and enjoyable for you. May I suggest next year though that you take it all a bit slower and enjoy the weekend long and leisurely? 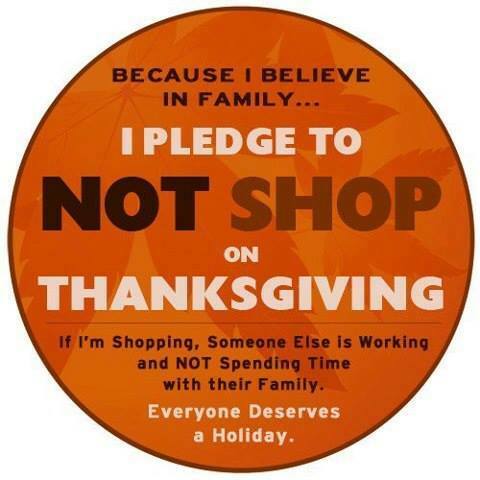 Maybe take that weekend to make your gifts or holiday cards and enjoy the Thanksgiving holiday AND the beginning of the Christmas Holiday season with your family. 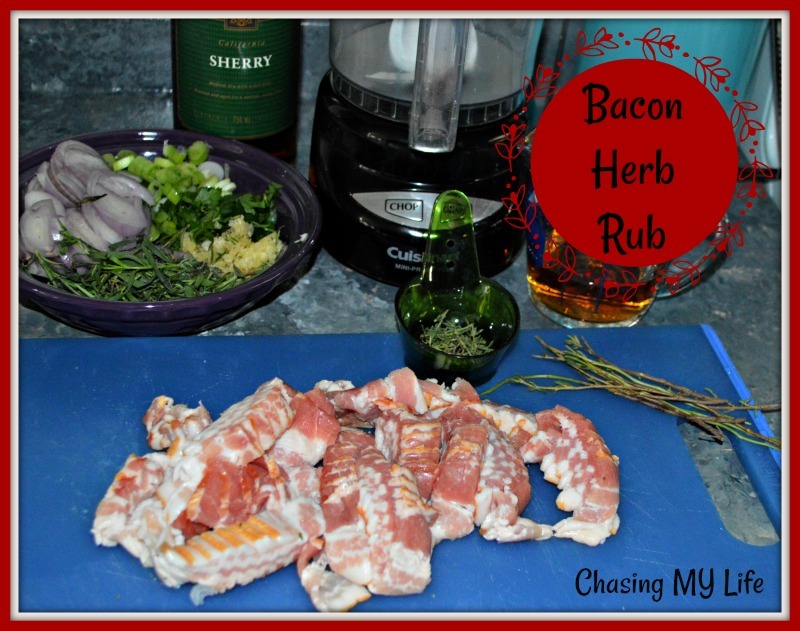 Pulse together the bacon, shallots, garlic, sherry, green onions, mustard, tarragon, thyme and rosemary until you have a smooth paste. Refrigerate until chilled through. I like to make this part on Tuesday so it is well chilled. Lower oven rack to bottom. Arrange carrots and celery on bottom of roaster in a basket weave pattern. Place onion, lemon and orange quarters in turkey cavity. Tie legs with food grade twine or baking bands. Whisk together the lemon zest, avocado oil, salt and pepper. Carefully separate skin from the body without tearing or piercing the skin. Insert the bacon paste between skin and meat, massaging into an even layer. Coat the outside of the turkey with the oil. Pat brown sugar over oil. Place the turkey in the roaster on top of carrot and celery grid. Bake 20-25 minutes per pound or until turkey reaches 150° (in the thigh). Baste ever 20 minutes or so. Remove foil and bake uncovered until skin has browned and temperature has risen to 160°. Continue basting every 15 minutes or so. You want the skin to crisp, but NOT dry out. Remove turkey from oven, tent with foil and allow to rest 20 minutes or so. It’s Thanksgiving week! The food prep can be overwhelming at time, but over the years I’ve found ways to make Thursday more enjoyable without breaking my back. I did ALL the shopping this morning and one of the first things I did was ALL the tedious chopping for my stuffing vegetables and gravy vegetables. I did a little research and found out I have been using a combination of several methods for years. Mirepoix from the French is plainly diced vegetables cooked with butter (generally) on a gentle heat without browning until soft and flavorful. You are not trying to caramelize, but blend and sweeten the flavors to use as a base for other foods. 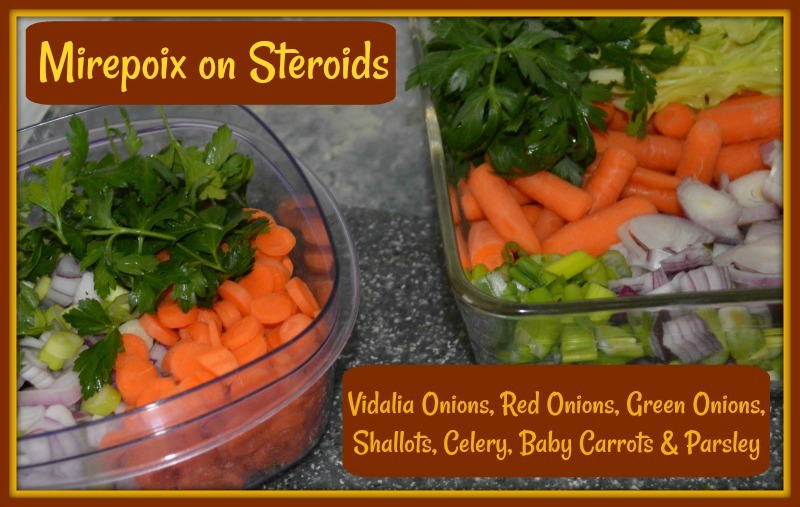 A traditional mirepoix is 2 parts onion, 1 part celery and 1 part carrots. This traditional base is then built and layered upon to enhance flavors for building stocks, soups, stews and sauces. To make mirepoix: Rinse, trim, and peel vegetables — typically two parts onion to one part carrot and one part celery — then chop them into uniform pieces. The shorter the cooking time of your recipe, the smaller the pieces should be, so that they effectively infuse the foods with flavor. the Spanish sofito, There are many different versions of sofrito, but the basics are green and red peppers, onions, garlic, and cilantro. the Portuguese refogado. Refogado is a Portuguese-style sofrito featuring onion, garlic, saffron, tomato and smoked paprika. the German Suppengrün (leeks, carrots, and celeriac), means soup greens in German, and the Dutch equivalent is soepgroente. Soup greens usually come in a bundle and consists of a leek, a carrot, and a piece of celeriac. It may also contain parsley, thyme, celery leaves, rutabaga, parsley root, and onions. The mix depends on regional traditions, as well as individual recipes. The vegetables used are cold-climate roots and bulbs with long shelf lives. Suppengrün act as herbs and impart hearty, strong flavors to the soup or sauce, providing a foil for other strong tasting ingredients such as dried peas and beans or pot roast. Large chunks of vegetables are slow cooked to make flavorful soups and stocks, and are discarded when the vegetables have given up most of their flavor. Finely chopped Suppengrün are browned in fat and used as a basis for a finished sauce. The vegetables may also be cooked long enough until they fall apart, and may become part of the sauce or pureed to form the sauce. the Polish włoszczyzna (leeks, carrots, celery root, and parsley root), A typical set of soup greens, known as włoszczyzna, the Polish word for soup vegetables or greens and literally translates to “Italian stuff”, used in Polish cuisine: carrots, parsley root and leaves, leek, and celeriac. Bay leaves and allspice grains are also shown. Queen Bona Sforza, who was Italian and married Polish King Sigismund I the Old in 1518, introduced this concept to Poland. A włoszczyzna may consist of carrots, parsnips or parsley root, celery root or celeriac, leeks, and savoy or white cabbage leaves, and sometimes celery leaves and flat-leaf parsley. and here in the U.S. we use the standard mirepoix, the classic and most common French combination of onions, carrots, and celery, typically in a ratio of 2 parts onion to 1 parts each carrot and celery as well as the Cajun and Creole holy trinity that replaces the carrots in the standard mirepoix with bell peppers and sometimes the French duxelles (mushrooms and often onion or shallot and herbs, reduced to a paste). Though the cooking technique is probably older, the term “mirepoix” dates from the 18th century and is credited to the chef, Charles Pierre Gaston Francois de Levis, duc de Levis Mirepoix who was the field marshall and ambassador and member of the noble family of Levis, lords of Mirepoix. As I was selecting a Thanksgiving Menu this year I was struck by the thought that much of the menu may not have even been at the first Thanksgiving which prompted me to do some research. According to HISTORY.COM much of what we eat today for Thanksgiving is vastly different from the First Thanksgiving. 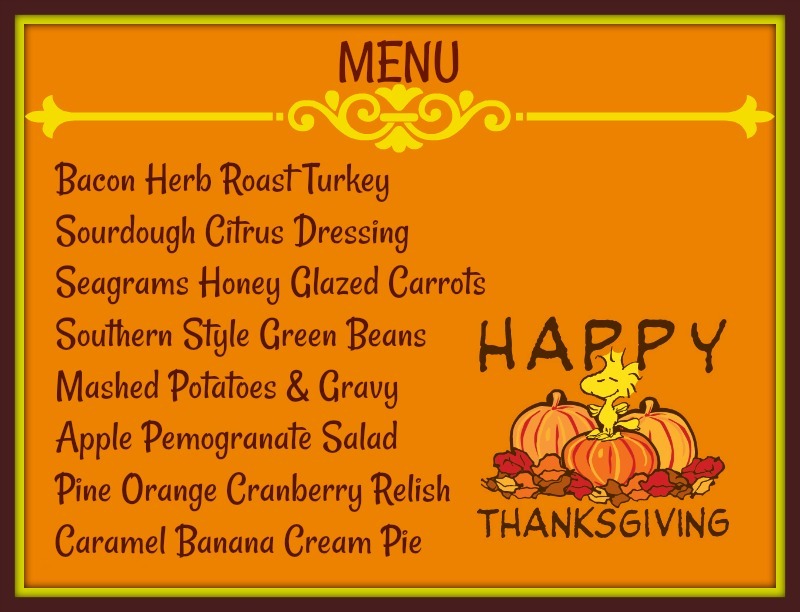 As I was selecting a Thanksgiving Menu this year I was struck be the thought that much of the menu may not have even been at the first Thanksgiving which prompted me to do some research. Today for many Americans, their traditional Thanksgiving meal includes many “seasonal” dishes such as roast turkey with stuffing, cranberry sauce, mashed potatoes, green bean casserole and pumpkin pie. As an annual celebration of the harvest and its bounty, moreover, Thanksgiving falls under a category of festivals that truly spans cultures, continents and millennia. 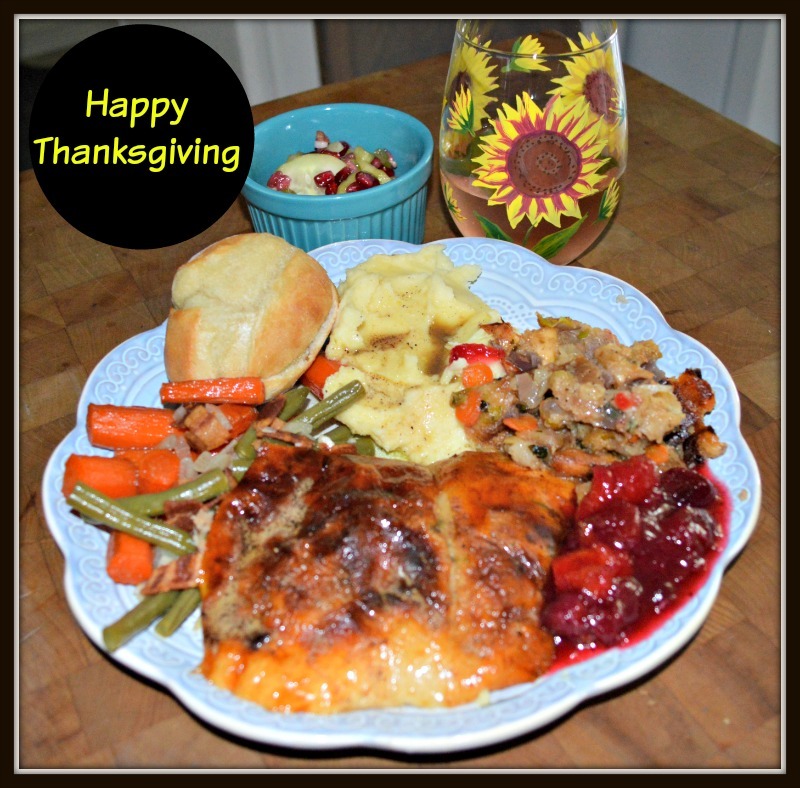 Thanksgiving itself dates back to November 1621. For more than two centuries, days of thanksgiving were celebrated by individual colonies and states. But, it wasn’t until 1863, during the midst of the Civil War, that President Abraham Lincoln proclaimed a national Thanksgiving Day to be held each November. Although the American concept of Thanksgiving developed in the colonies of New England, its roots can be traced back to the other side of the Atlantic. Both the Separatists who came over on the Mayflower and the Puritans who arrived soon after brought with them a tradition of providential holidays—days of fasting during difficult or pivotal moments and days of feasting and celebration to thank God in times of plenty. Historians have noted that Native Americans had a rich tradition of commemorating the fall harvest with feasting and merrymaking long before Europeans set foot on their shores. In ancient times, the Egyptians, Greeks and Romans feasted and paid tribute to their gods after the fall harvest. Thanksgiving also bears a resemblance to the ancient Jewish harvest festival of Sukkot. The first autumn harvest for the newly arrived Pilgrims corresponded with the Wampanoag Indians autumn harvest celebration at Plymouth. This event is widely regarded as America’s First Thanksgiving. Much of the local fare would have been from the Indians harvest. In November 1621, now remembered as America’s “first Thanksgiving”, although the Pilgrims themselves may not have used the term at the time. The festival lasted for three days. No exact records exist of the actual menu, but Edward Winslow journaled that after the Pilgrims’ first corn harvest proved successful the colony’s governor, William Bradford sent 4 men hunting for wild turkey, which was plentiful in the region and common food fare for both the Pilgrims and Wampanoag Indians. It is also possible that the hunters also returned with ducks and geese. He was organizing a celebratory feast a celebratory feast and invited a group of the fledgling colony’s Native American allies, including the Wampanoag chief Massasoit. Historians have suggested that many of the dishes were likely prepared using traditional Native American spices and cooking methods. As for the dressing or stuffing, herbs, onions and nuts may have been added to the birds for flavor. The first Thanksgiving’s attendees almost certainly got their fill of meat. Winslow wrote that the Wampanoag guests arrived with an offering of five deer. Culinary historians speculate that the deer was roasted on a spit over a smoldering fire and that the colonists might have used some of the venison to whip up a hearty stew. Local vegetables that likely appeared on the table include onions, beans, lettuce, spinach, cabbage, carrots and perhaps peas. Corn, which records show was plentiful at the first harvest, might also have been served, but not in the way most people enjoy it now. In those days, the corn would have been removed from the cob and turned into cornmeal, which was then boiled and pounded into a thick corn mush or porridge that was occasionally sweetened with molasses. Fruits indigenous to the region included blueberries, plums, grapes, gooseberries, raspberries and, of course cranberries, which Native Americans ate and used as a natural dye. 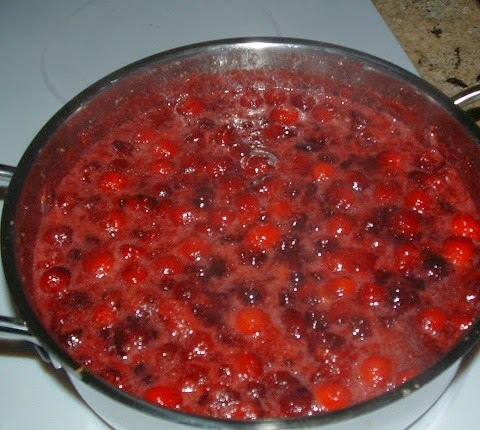 While the Pilgrims might have been familiar with cranberries by the first Thanksgiving, they wouldn’t have made sauces and relishes with the tart orbs. The Pilgrims would surely have depleted their sugar supplies by this time. Records show that adding sugar to cranberries and using the mixture as a relish didn’t actually happen until about 50 years later. Because of their location and proximity to the coast, many culinary historians believe that much of the Thanksgiving menu consisted of many seafood entrees that are no longer on today’s menus. Mussels in particular were abundant in New England and could be easily harvested because they clung to rocks along the shoreline. The colonists occasionally served mussels with curds, a dairy product with a similar consistency to cottage cheese. Lobster, bass, clams and oysters might also have been part of the feast. Whether they were mashed, roasted, white or sweet, potatoes were not at the first Thanksgiving as they had yet to arrive to the north American region. Present on the menu would have been turnips and possibly groundnuts. As for pumpkin pie, pumpkins and squashes were indigenous to the New England area, but the settlers hadn’t yet constructed an oven and lacked both the butter and flour to have made a pie crust. Some accounts do imply that early settlers improvised by hollowing out pumpkins, filling the shells with milk, honey and spices to make a custard, then roasting the gourds whole in hot ashes. The lack of sugar and an oven would have also eliminate pies, cakes or other desserts from the menu. Pilgrims didn’t hold their second Thanksgiving celebration until 1623 to mark the end of a long drought that had threatened the year’s harvest and prompted Governor Bradford to call for a religious fast. Days of fasting and thanksgiving on an annual or occasional basis became common practice in other New England settlements as well. During the American Revolution, the Continental Congress designated one or more days of thanksgiving a year, and in 1789 George Washington issued the first Thanksgiving proclamation by the national government of the United States; in it, he called upon Americans to express their gratitude for the happy conclusion to the country’s war of independence and the successful ratification of the U.S. Constitution. His successors John Adams and James Madison also designated days of thanks during their presidencies. Turkey, because it contains tryptophan often gets blamed for the drowsiness and the need for a nap after the big Thanksgiving meal, but studies suggest it is really the carbohydrate-rich sides and desserts that allow tryptophan to enter the brain. In September 1620, a small ship called the Mayflower left Plymouth, England, carrying 102 passengers—an assortment of religious separatists seeking a new home where they could freely practice their faith and other individuals lured by the promise of prosperity and land ownership in the New World. After a treacherous and uncomfortable crossing that lasted 66 days, they dropped anchor near the tip of Cape Cod, far north of their intended destination at the mouth of the Hudson River. One month later, the Mayflower crossed Massachusett Bay, where the Pilgrims, as they are now commonly known, began the work of establishing a village at Plymouth. It was Abraham Lincoln who scheduled Thanksgiving for the final Thursday in November, and it was celebrated on that day every year until 1939, when FDR moved the holiday up a week in an attempt to spur retail sales during the Great Depression. Roosevelt’s plan, known derisively as Franksgiving, was met with passionate opposition, and in 1941 the president reluctantly signed a bill making Thanksgiving the fourth Thursday in November. In many American households, the Thanksgiving celebration has lost much of its original religious significance; instead, it now centers on cooking and sharing a bountiful meal with family and friends. Volunteering is a common Thanksgiving Day activity, and communities often hold food drives and host free dinners for the less fortunate. For some scholars, the jury is still out on whether the feast at Plymouth really constituted the first Thanksgiving in the United States and many Native Americans take issue with how the Thanksgiving story is presented to the American public, and especially to schoolchildren. In their view, the traditional narrative paints a deceptively sunny portrait of relations between the Pilgrims and the Wampanoag people, masking the long and bloody history of conflict between Native Americans and European settlers that resulted in the deaths of millions. Since 1970, protesters have gathered on the day designated as Thanksgiving at the top of Cole’s Hill, which overlooks Plymouth Rock, to commemorate a “National Day of Mourning.” Similar events are held in other parts of the country. Historians have recorded other ceremonies of thanks among other European settlers in North America that actually predate the Pilgrims’ celebration. The term BLACK FRIDAY appears to have been coined in Philadelphia by the police, where it was originally used to describe the heavy and disruptive pedestrian and vehicle traffic which would occur on the day after Thanksgiving. Use of the term began around 1966 and was used primarily on the east coast. It began to see broader use around 1975. Later an alternative explanation began to be offered: that “Black Friday” indicates the period during which retailers are turning a profit, or “in the black. 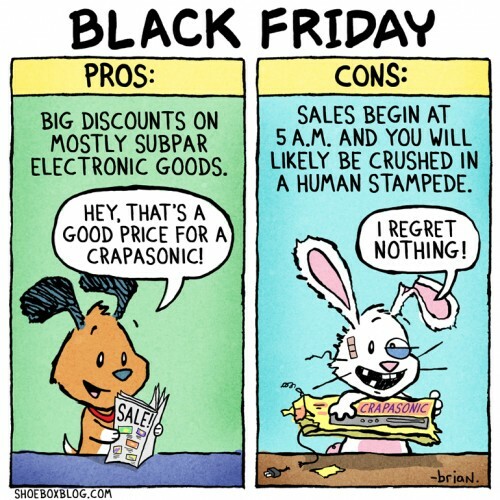 I know many of you probably love to participate in Black Friday. I for one, can’t stand it. I like to enjoy my Thanksgiving weekend in its entirety! That means sleeping in on Friday, Saturday and Sunday at least until 7. I refuse to get up and go shopping at 3 AM for anyone or anything! More importantly, at least to me, is that I don’t want to rush through an important family holiday just so I can get up at 3 AM (if I got to bed at all) and go stand in line all day to spend money. As I mentioned before, I DO NOT shop Black Friday, unless it’s from the comfort of my desk chair talking to a computer. Thanksgiving weekend for us is and always has been casual. This year was no exception. With just 2 of us this year I bought a turkey breast only. So my questions is, where does the rest of the turkey go? Our range is on the way out also – losing the heating elements one by one and the oven is now 75 degrees under temperature. I didn’t want to take a chance so I started the turkey breast in the slow cooker and then used the oven to only brown the top. Amazingly, it turned out PERFECT! I see great turkey sandwiches tomorrow! And there are plenty of leftovers until the new range is installed next week. Our morning started out foggy and drizzly before turning to serious cold and rain. 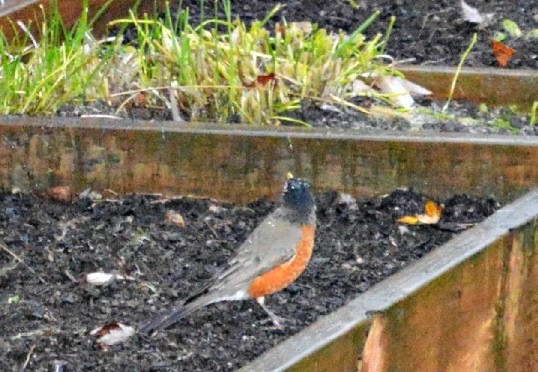 I did manage to capture this Robin hanging out in the old garden bed. 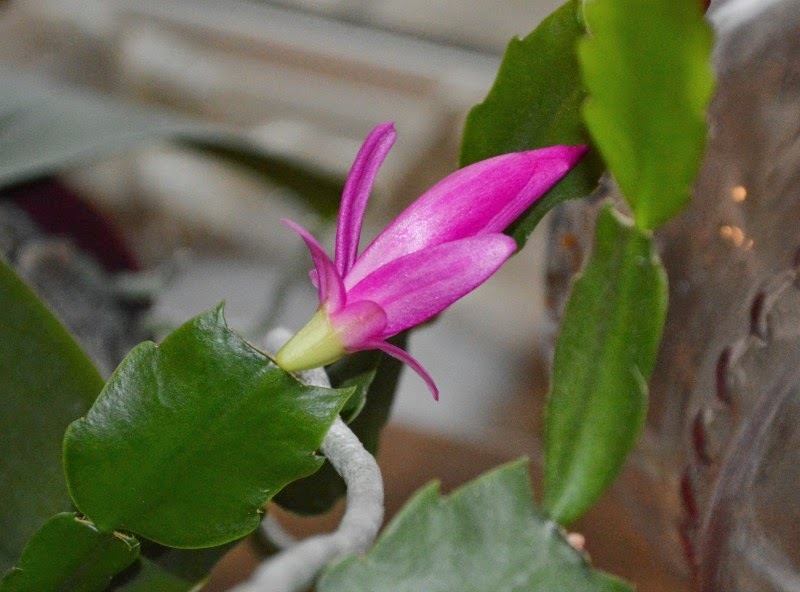 And the first opening bloom of the Christmas Cactus this season. 99.9% of my recipes are made from scratch, but every now and then I do cheat a bit. 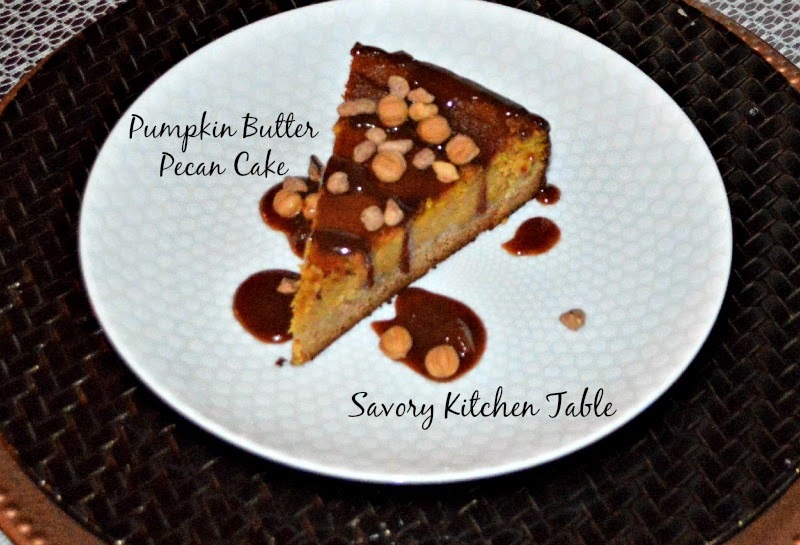 Part of Thanksgiving’s dessert, PUMPKIN PECAN BUTTER CAKE with CARAMEL SAUCE & CINNAMON PECAN was one of those small cheats and believe me I will cheat again, but next time I’ll add some fresh whipped cream. MOST of the recipe is scratch ingredients, but it called for a Betty Crocker SuperMoist yellow cake mix. Instead I used a SuperMoist BUTTER PECAN cake mix and it was FABULOUS! I’ll give you the original recipe (which for the life of me I can’t remember where it came from – probably pinterest) with my changes in red. 3-15 ounce cans cut green beans, drained VERY WELL! Over medium heat melt butter in saucepan. Add milk and heavy cream gradually, bringing to a boil JUST SLIGHTLY! Reduce heat and simmer, stirring continuously until sauce begins to thicken. While still stirring add in paprika, salt, pepper, Lemon Garlic and celery flakes. When you reach your desired consistency set pan aside to cool slightly. In a large mixing bowl toss the green beans with the Riverhouse Parmesan Herb dressing. Pour sauce over beans and gently toss and coat. Pour into a baking dish and top with crumbled bacon and fried onion rings. Bake 20-30 minutes until heated through. **If you can’t find this brand, Litehouse Parmesan Caesar is a great substitute. Wash cranberries and drain in colander. Mix tangerine juice, pineapple juice and sugar in saucepan until dissolved. Add cinnamon and orange peel. Stir well. Add the cranberries and pomegranate seeds simmering over medium high heat until bubbling, stirring often. When the mixture begins to boil, reduce heat. Cook uncovered or until all cranberries and pomegranate seeds have ’popped’. Can be stored in the refrigerator for a week or frozen for future holidays. ***I like to make a double batch at Thanksgiving and freeze half for Christmas. Line the bottom of your 10 inch springform pan with parchment paper. I cut a square sheet and close it into the seam of the bottom with the latch and then trim into a circle. Lightly spray the pan with non-stick cooking spray. NOTE: you can use a 9×13 cake pan, but coat it well with non-stick cooking spray. In a large mixing bowl combine the cake mix, melted butter and egg until well blended.Press batter into the bottom of your springform pan. In a large mixing bowl beat together the cream cheese and pumpkin until smooth. Add melted butter, vanilla and eggs, beating until well combined. Fold in powdered sugar, orange peel and pumpkin pie spice until just mixed. Pour batter over cake base and smooth even. Bake 60-75 minutes until cake is set and top is only slightly wobbly (similar to a cheesecake consistency). COOL COMPLETELY on a wire rack BEFORE removing the pan. Serve sliced with Caramel sauce, pineapple sauce, caramel balls and pecans. NOTE: YOU WILL NEED LESS TIME USING A 9X13 PAN! Refrigerate for up to 2 weeks. Microwave 20-30 seconds to soften refrigerated caramel before serving. I’m off to wrap Christmas presents – Have a great weekend! 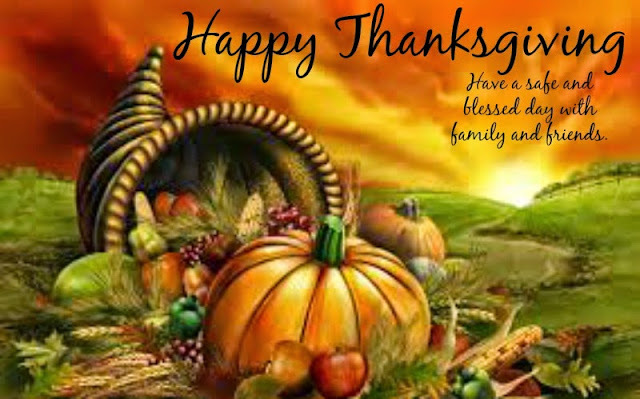 We hope you and yours have a wonderful, safe and Happy Thanksgiving! 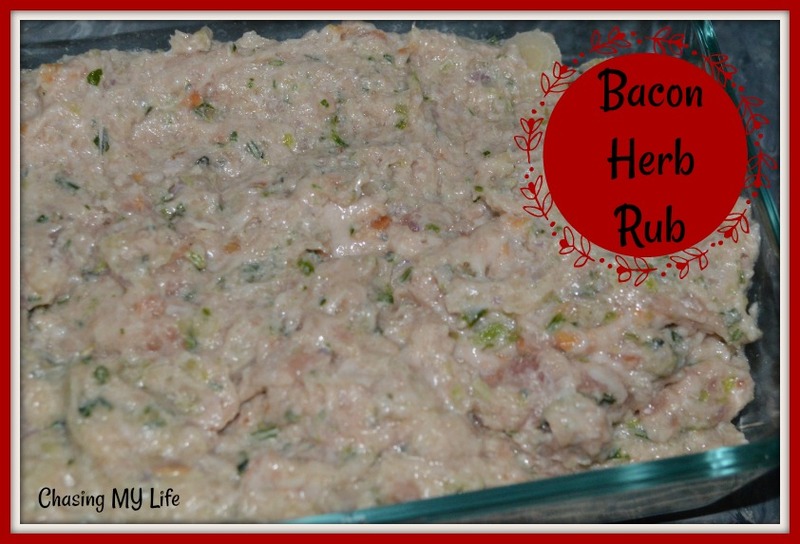 I’m sharing my family’s scratch recipe for my Oatnut Sourdough Herb Dressing. My brother has been after me for years to always make it the same way dad always did (tradition) and write it down, so this one is for him and to see if he really does read my blog! LOL! 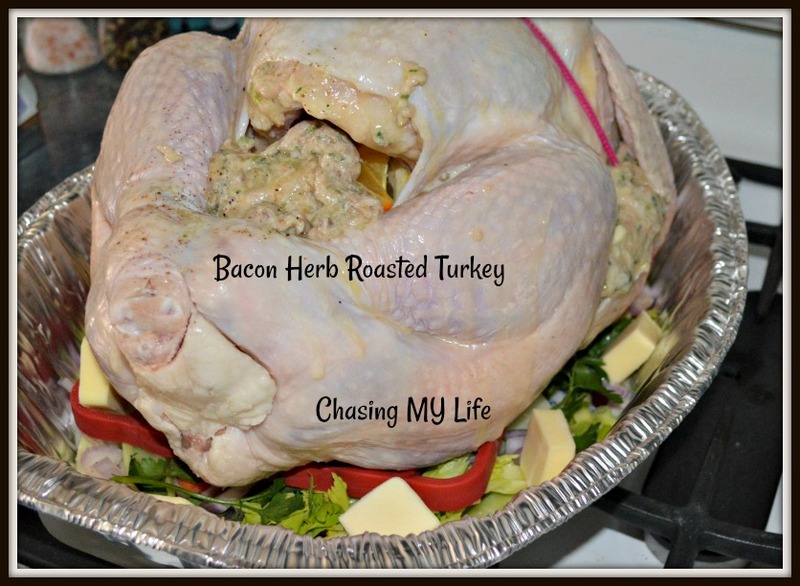 We use this recipe for both Thanksgiving and Christmas and I always make enough to freeze for weekday meals too. It’s a great way to use up stale bread. Sometimes I will collect the stale bread into a wrapper in the freezer until I have enough to make a large batch. Fold entire mixture into at least a 9×13 baking dish. When it’s time to cook it again, I defrost it, put it back in the same baking dish and bake it again, but this time covered with foil until the last 15 minutes so it doesn’t dry out. We like it crisp on top so I remove the foil the last 15 minutes. I hope you and yours have a VERY wonderful, safe and Happy Thanksgiving! Now because it is Thanksgiving and everyone is sooooooooooooooooo busy this time of year I invite all my readers that want to participate to consider themselves tagged! Be sure and leave me a message so I can come read your answers! I did this a couple of years ago and we had a lot of fun with it! Now on to the FUN!! 1. Which do you like better: hosting Thanksgiving at your home, or going elsewhere? Years ago I somehow ended up hosting for my family and that became tradition. I think I prefer it, but we have had many wonderful Thanksgivings elsewhere. Last year was at my sis-in-laws and 2 years before that at her DIL’s and while were both wonderful, they were much different from having had it here. 2. Do you buy a fresh or frozen turkey? Organic? Free-range? Depends on what is available in the small town neck of the woods. I don’t care whether it is frozen or fresh per se, but do want a free range one. 3. Do you make stuffing or dressing? What kind? 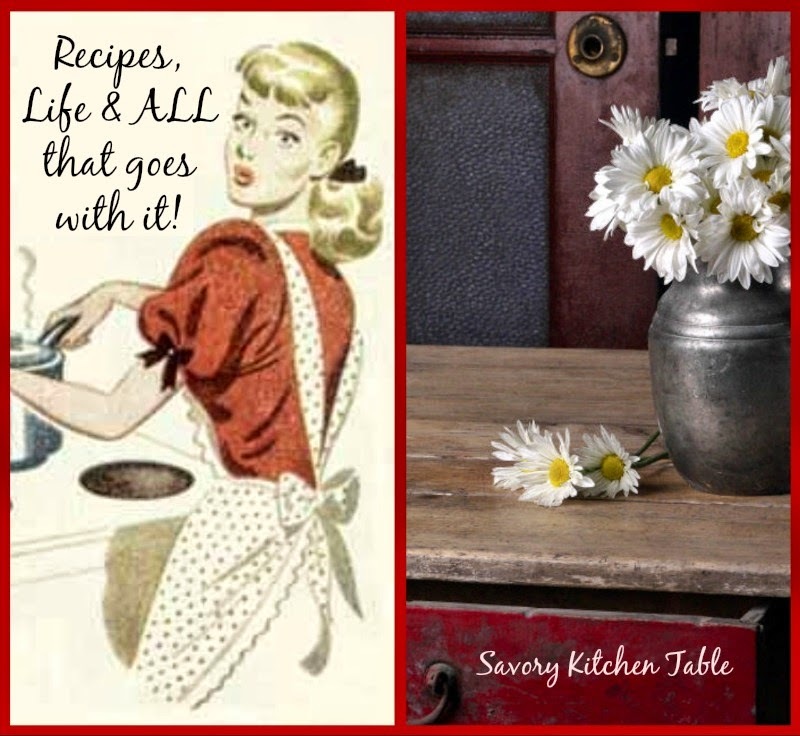 Absolutely make it from scratch! It’s an Oatnut Sourdough Herb Stuffing. 4. Sweet potato pie or Pumpkin pie? Neither, it’s Pumpkin Cheesecake here. 5. 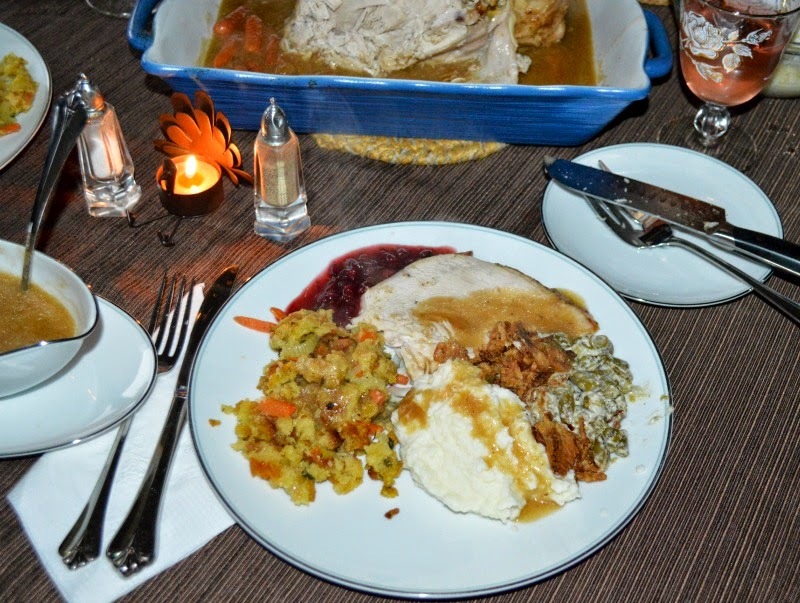 Are leftovers a blessing or a curse? Definitely a blessing. We love the leftovers for easy meals the following week and MUST HAVE turkey sandwiches. 6. What side dishes are a must-have in your family? Oatnut Sourdough Herb Stuffing, Apricot Carrot Casserole and Baked Pineapple. 7. What do you wish you had that might make Thanksgiving easier? A double wall oven would be easier on my back. 8. If/when you go to someone else’s house for the holiday, do you usually bring a dish? If so, what is it? My Apricot Carrot Casserole because it is so different and blends well with whatever their menu is. 9. What do you wish one of your guests would bring to your house? Smiles, appetites and positive attitudes. 10. What do you wish one of your guests would NOT bring to your house? Bad attitudes coupled with deep seated arguments over politics and/or religion. 11. Do you stick with a particular menu from year to year, or do you mix it up? While I do try to mix-it up now and then, a lynch mob quickly forms if I don’t keep it pretty close to what it has always been. For Christmas I have been able to mix it up better as it is also our youngest son’s birthday. He gets to pick the basic meat and then everyone else gets to pick a favorite to go with it and that has become our tradition since. 12. 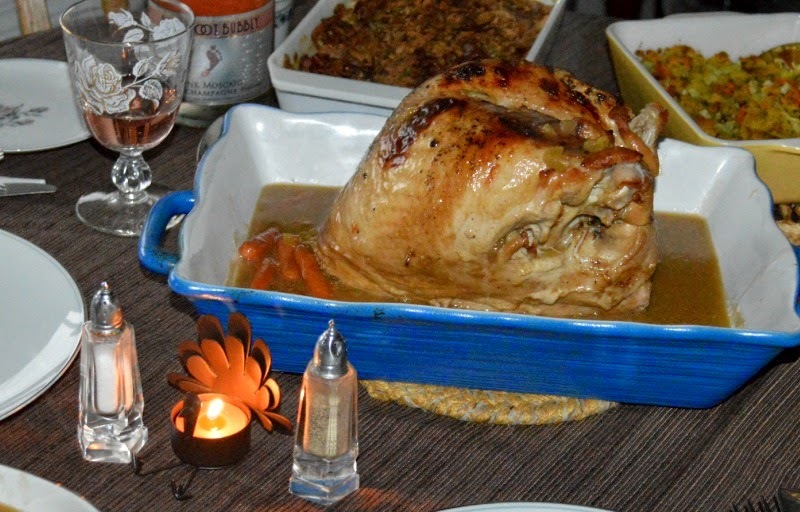 Is Thanksgiving a religious or secular holiday in your home? It is a beautiful melding of both. We celebrate the pilgrimage with the influence God has always had on it. 13. Share one Thanksgiving tradition. The Thanksgiving traditions in my family seemed to dwindle as the kids grew older and then the extended families and alternate get togethers grew. We do have a traditional meal with the same traditional recipes we have always used though. 14. 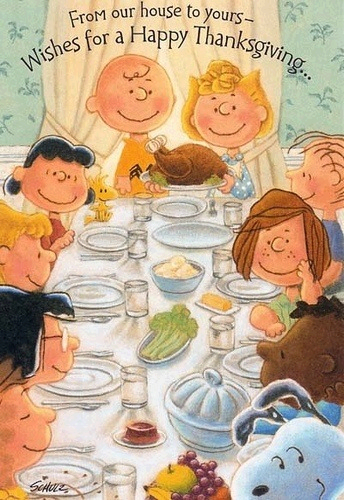 Share one Thanksgiving memory. As for disaster, it seems that in my parent’s house it always happened on Thanksgiving and usually involved the garbage disposal backing up and creating a HUGE mess. One year in particular it was really bad! So bad we couldn’t even have people over. My grandparents only lived a few blocks away. Long story short, grandpa brought their red Chevy station wagon over to our house with and old quilt spread out in the back and the adults loaded all the food there. My uncle and I rode in the back to keep all the bowls and pans from tilting over. While grandpa had been at our house, grandma had set the table at their house. All the food was unloaded from the station wagon and the preparation continued in grandma’s kitchen. It was one of the more memorable Thanksgivings I can remember. 15. 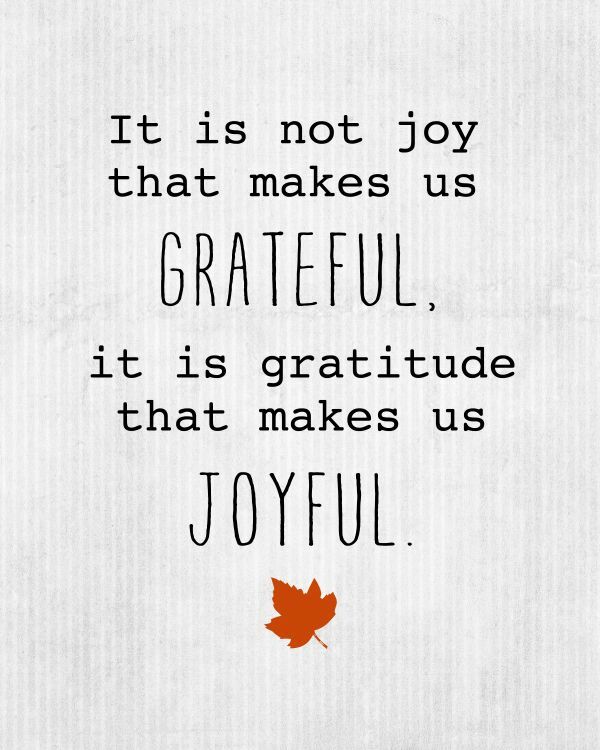 Name five things you’re thankful for. 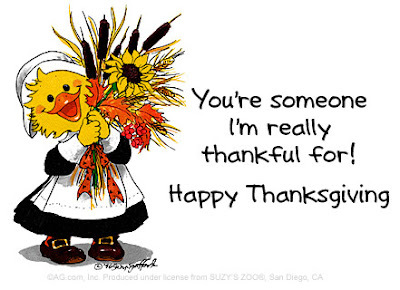 I hope you and yours have a wonderful, safe and Happy Thanksgiving! Now because it is almost Thanksgiving and everyone is sooooooooooooooooo busy this time of year I invite all my readers that want to participate to consider themselves tagged! Be sure and leave me a message so I can come read your answers! I did this a couple of years ago and we had a lot of fun with it! 1. Post these rules when you participate in this meme. 2. Link to the people you tag as well as the person who tagged you.